The concept of mobile phone is insurance is quite new in India. This post explains in detail about the importance of mobile insurance. It also lists major mobile insurance service providers in India. The concept of mobile phone insurance is quite new in developing countries like India. Most of the people have not even heard about this concept especially in rural parts of these developing countries. The craze for smartphones is on rise and their prices are also increasing day by day. Thus it does make sense to get your mobile secured. Mobile insurance is available for very low price and it can prove to be very handy in case of mobile theft. An important thing to remember here is that one should compare different mobile insurance plans before choosing one. This post explains in detail regarding how to compare different mobile insurance plans so as to get the best deal in least possible price. Mobile companies offer different types of insurance packages. For instance, some of the companies might be providing insurance for data loss as well. Thus, one should compare the different plans based on its features and then make the final choice. Mobile phone insurance provides safety against mobile theft which is quite common these days. In order to do mobile insurance comparison first of all the user must do extensive research about the companies offering all these schemes. If you already have all the required information about different company, it would not be possible for any company to fool you easily. First precaution is to avoid over insuring or under insuring. It is important to compare the prices as well so as to ensure that you do not overpay. Different countries have different insurance schemes for mobile phones. For instance, in case of UK the major service providers like Vodafone and Virgin provide bundled offers to the customers. The bundled offers should be preferred as they are cost effective. 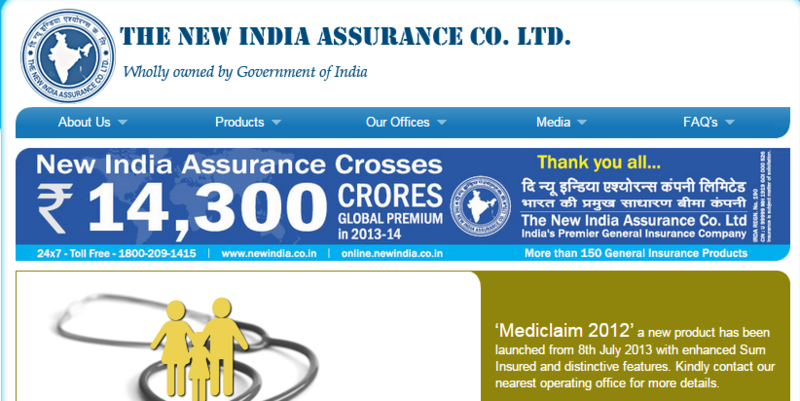 a) New India Assurance: New India Assurance Scheme is valid for all Nokia handsets. This scheme offers insurance on Nokia handsets for a fee of Rs 50 or 1.25 % of the selling price of handset. This is valid for all the retailers and wholesalers dealing in Nokia handsets. There are certain conditions like theft, fire and malicious activities which are covered under this policy. b) The Mobile Store: The mobile store is also offering insurance for all the handsets sold. The onetime insurance premium is as low as Rs 100. In case the mobile gets stolen, customers have to first file a FIR before appealing the insurance at The Mobile store. The insurance value offered is equal to the value of handset minus depreciation depending on condition of the handset. c) Warranty Bazaar: The one time premium for this insurance scheme ranges between Rs 125 and Rs 1750 depending on the cost of handset. The scheme offers free repair/replacement in case of theft or damage. Liquid damage is no included in this insurance. Article appears incomplete. It should have included a few more options available in the market. However, I don't see the concept of mobile phone insurance catching up in India anytime soon. It is still in its nascent stage in India. Just wish to see some sort of awareness to change the mindset.